Premium Paracord Rifle Slings – Hand-Made in the USA with 750lb Type IV Mil-Spec TOUGH-GRID® Paracord and Mil-Spec Swivels! Premium Paracord Rifle Slings Made With 750lb Test Type IV Mil-Spec TOUGH-GRID® Paracord and Swivels! BackBone Rifle Slings are Durable, Comfortable, and Handmade in the USA! – The BackBone-90 is wide and flat, making for excellent wear and comfort! This sling is 46″ long and made with 90Ft of genuine Mil-Spec type IV paracord using a “Boa” weave. – Our Military grade swivels are a cut above the rest. With a lifetime warranty, you never have to worry about a flimsy swivel again! – TOUGH-GRID® paracord is the best you can get. Don’t be caught without the highest quality paracord available… get a BackBone! Our 750lb Paracord Is Genuine Mil-Spec and 200 Pounds Stronger Than The Typical 550 Paracord! – Our slings are flexible, wide and durable while tightly woven and able to pack the maximum amount of paracord in a light-weight sling. – Our slings can be unwoven for emergency paracord use while still retaining a useful rifle sling. 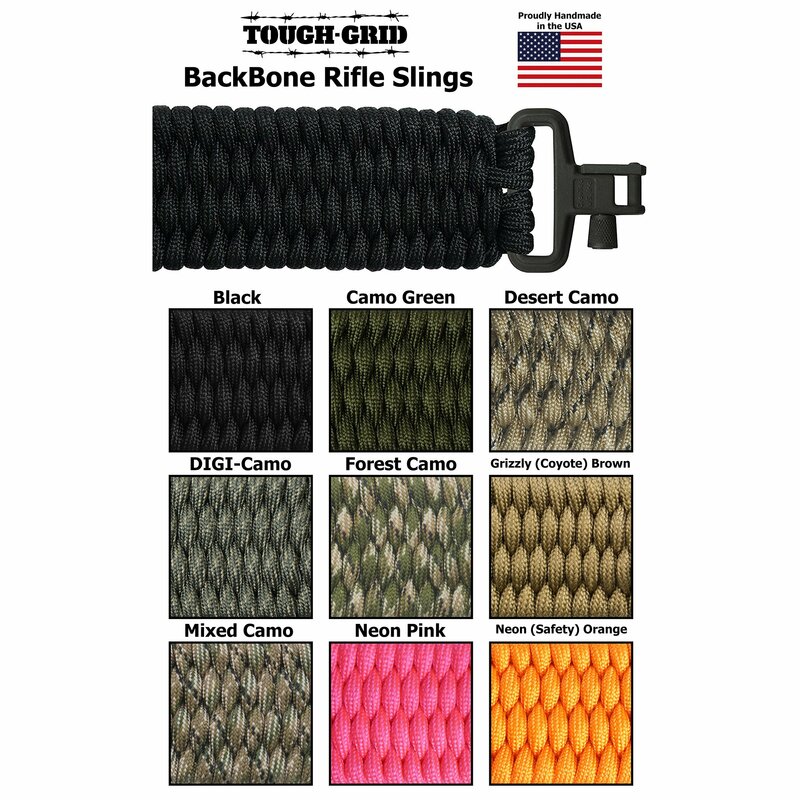 – At 46″ long and extra wide, you’ll enjoy the comfort and security of owning a BackBone rifle sling! 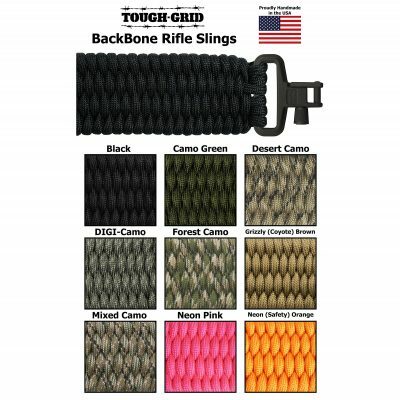 We 100% Guarantee (Replacement or Money Back) ALL TOUGH-GRID® Paracord Rifle Slings! Mil-Spec Paracord! 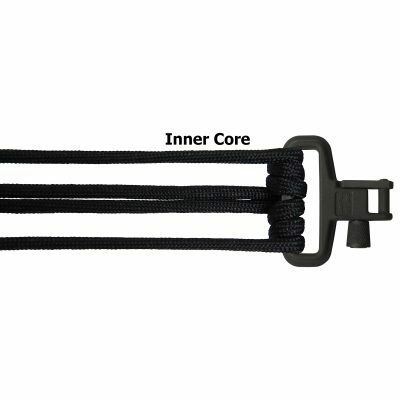 – These slings are made with 750lb Mil-Spec paracord! That’s 200 lbs stronger than any other sling on Amazon. Mil-Spec Swivels! – Comes with a Mil-Spec (Military Grade) swivel on both ends… no other sling on Amazon has Mil-Spec swivels! Tons of paracord! 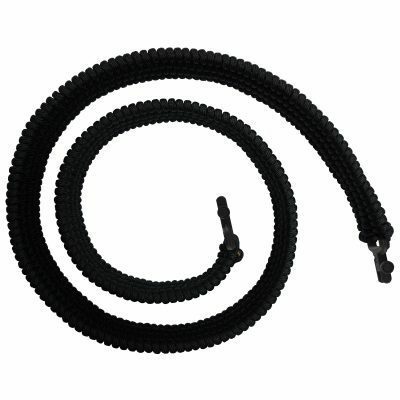 – The BackBone-90 comes with 90Ft of paracord that will come in handy in any survival situation! Extra Long! – Our slings are all 46″ long… while most other slings max-out at 44″. Hand-Made In USA – All of our slings are HANDMADE in the USA with unquestionable and 100% guaranteed quality.